Sembcorp Energy India (SEIL) and Sembcorp Gayatri Power (SGPL) reported PLFs that were largely expected. SEIL reported weak PLFs as Unit #1 remains down, while SGPL’s PLF was comparable to 3Q18 at 83%. India’s core earnings may come in slightly over breakeven level on higher electricity prices and lower international coal prices for the period. Our 2018 earnings have been tweaked slightly to reflect this. 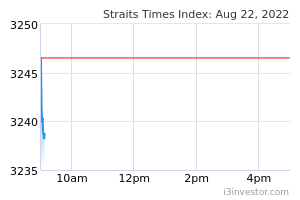 Maintain BUY with a revised target price of S$3.20. SEIL 4Q18 PLF of 51.6%; Unit #1 remains down. Sembcorp Energy India (SEIL) is expected to report a 4Q18 plant load factor (PLF) of 51.6% (4Q17: 76.7%). Unit 1 remains down as of 31 Dec 18, in an outage that has lasted over 85 days. We re-iterate that SEIL is covered under business continuity insurance, and do not expect an adverse impact to 4Q18 earnings. SGPL 4Q18 PLF of 82.6%. PLFs are comparable on a q-o-q basis. India likely to come in above breakeven level on a core basis. With losses from SGPL potentially lower, SEMBCORP INDUSTRIES LTD (SGX:U96)'s core earnings from India could come in slightly above our current estimate for breakeven. This takes into account the seasonal loss from Sembcorp Green Infra. We ballpark this to translate to S$7m core earnings for India in FY18. Including the one-offs of S$28m, we are expecting ~S$35m net profit for India for FY18. This implies an S$18m core loss for India in 2018. Management had re-iterated in 3Q18 that they expected India to remain profitable despite the headwinds. With the sizeable one-offs, this is plausible, although it was unclear whether this would be the case on a core basis. Adjust 2018 earnings by 2%. We have adjusted our 2018 earnings to reflect the above average breakeven for India. Taking into account that international coal prices remain elevated, SGPL seems unlikely to be able to narrow its losses faster than we currently are expecting. We are thereby taking the opportunity to lower our 2019 and 2020 earnings by about 5-6%. Revised earnings for 2018-2020 are S$328m, S$405m and S$430m respectively. Maintain BUY, target price lowered to S$3.20. 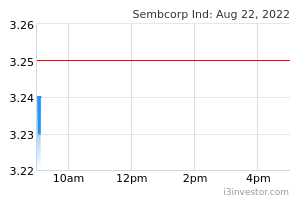 Our target price for SEMBCORP INDUSTRIES LTD (SGX:U96) falls to S$3.20 with our earnings revision. Our target price values the Utilities business at an implied 8.7x 2019F PE, and its 61% stake in SEMBCORP MARINE LTD (SGX:S51) at S$1.83. Valuation for the non-Marine business is currently at 7.4x 2019F PE, below -1SD, reflecting the depressed outlook for the segment which we consider overly bearish. On a valuation basis, we maintain our BUY rating.